Do you like Single Shoulder Cutout clothes? If not, you better love it, haha, because it's one of the hottest trends for Spring 2017. I don't really follow trends just because they are trending, to be totally honest, but when something that I love, becomes a season's trend, I feel great. Single Shoulder cutout is something that I always liked, it creates such a pretty silhouette, whether it's a dress or a top. As you can see, in this first outfit, there are actually two Spring-Summer 2017 trends __ single shoulder cutout and hot pink (another trend of the season). 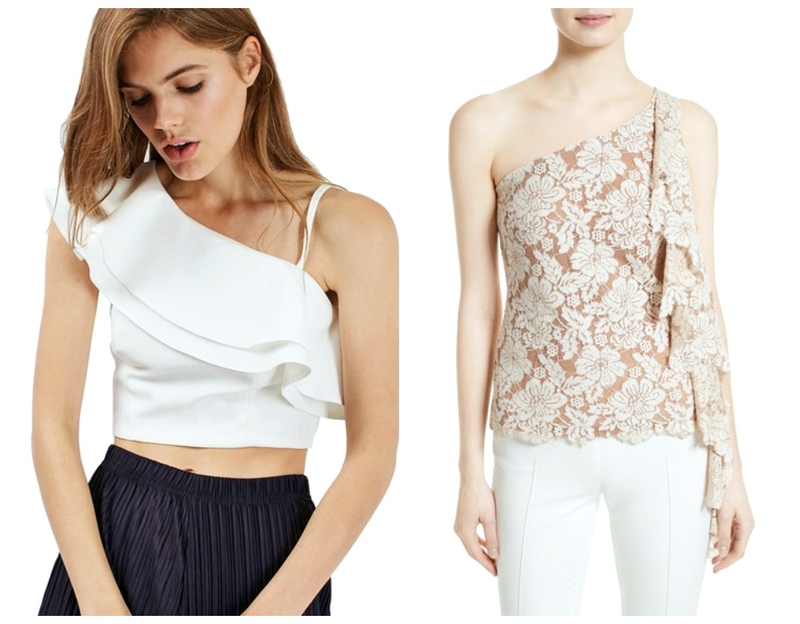 Is single shoulder cutout the trend, you would enjoy this season? Let me know in the comments below, and wish you all a fabulous weekend ahead. Oh, I love one shoulder trend. 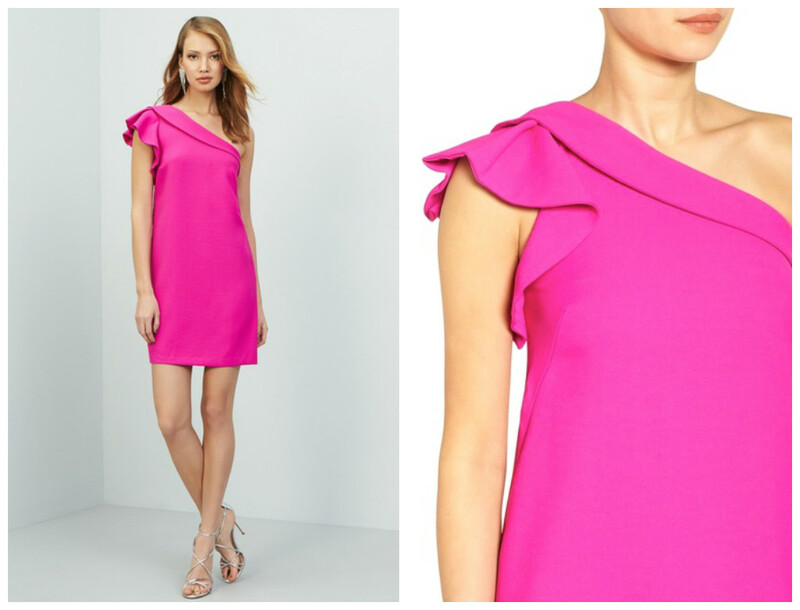 I'm not sold on hot pink, but one shoulder is always a go in my book. I am obsessed with the one shoulder style! That pink dress is phenomenal! Thanks for sharing and have a terrific weekend Nina! I love the one shoulder trend, but next week I am showing what I just did with a dress, a one shoulder one, that I had it cut and transformed as a skirt :) Well, like you said, we don't follow trends just because it's a tred, but if we like them! One shoulder trend was nice when I bought the dress and some other pieces, but now I put on some (a lot) of weight and I feel too heavy for that (I bought the dress 5 years ago). Nevertheless I can wear it again if I lose some weight :) I loved the grey and black trimmings dress! Very feminine! Hope you have a great weekend! I can't wait to see how you transformed your dress into a skirt, I'm sure it will look fabulous on you. You too, dear Denise, wish you an amazing weekend. I love one shoulder tops so I'm glad they'll be a big trend this Spring. The hot pink dress is beautiful, although a bit short for me. The grey dress with the waist tie is very nice. I don't think this is for me but you never know, maybe I'll change my mind which I am known to have done in the past. LOL! I'm a huge fan of the one shoulder trend!! I think that it's so chic and flirty! Love the one shoulder trend...sadly I don't see myself every trying it though. I hate my arms. Amazing selection,in love with this trend! I love tops like these! It's super pretty! I really like the single shoulder. The pink dress is stunning! Love this post, it's so cool! Saw your post on Instagram and had to stop by. 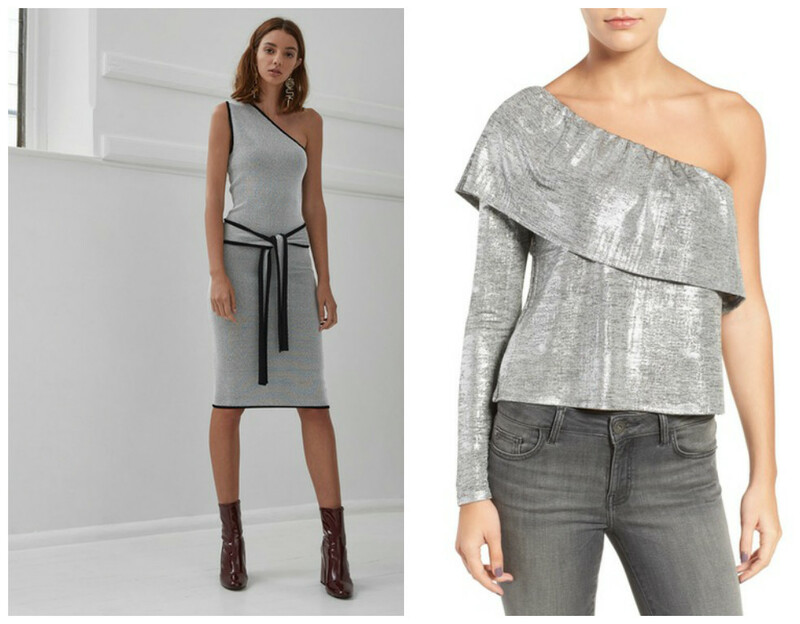 I really like the grey "no business one-shoulder midi dress". I adore one shoulder dresses and tops and these are gorgeous! I love the one shoulder trend! I really enjoy this trend! Better start shopping now! I like single shoulder trend :) Nice post friend! Have a great weekend. Loving this trend, i've seen some great pieces on the high street! I really love the off the shoulder trend! Great outfits. I love the shoulder details on these garments! fun picks! such a cute trend! Such a cute trend! And I love your picks!